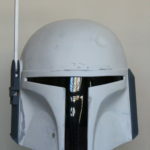 Boba Fett ESB Helmet Build Part 4. Luke & Vader ESB Lightsaber duelling Set. Anyone interested in prop replication will sooner or later find their way to the somewhat specialised area of found parts. The time investment required is pretty large but the reward is the quality details that end up in the replication. When people make movies and productions they end up using all sort of real world items to detail the fantasy world they’re creating. 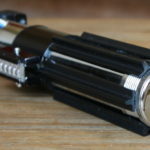 I’ll give you an easy example: Luke Skywalker’s Lightsaber in the original Star Wars Film is a Graflex Camera Flash with some bits stuck on it. That item was probably figured out pretty quickly and without too much effort and so it goes with various movies over the years as prop nerds try to figure out what real world stuff, if any, that movies props are made of. Afficionados spend months poring over fuzzy images to see if they can work out what was used in the construction of these movie props. 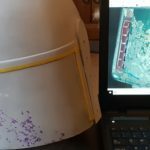 As you may be aware from some of the other posts our goal is to replicate the Boba Fett helmet from the Empire Strikes Back and whilst the most important part of that process will be the exterior we also want the inside of our helmet to be a good match too. 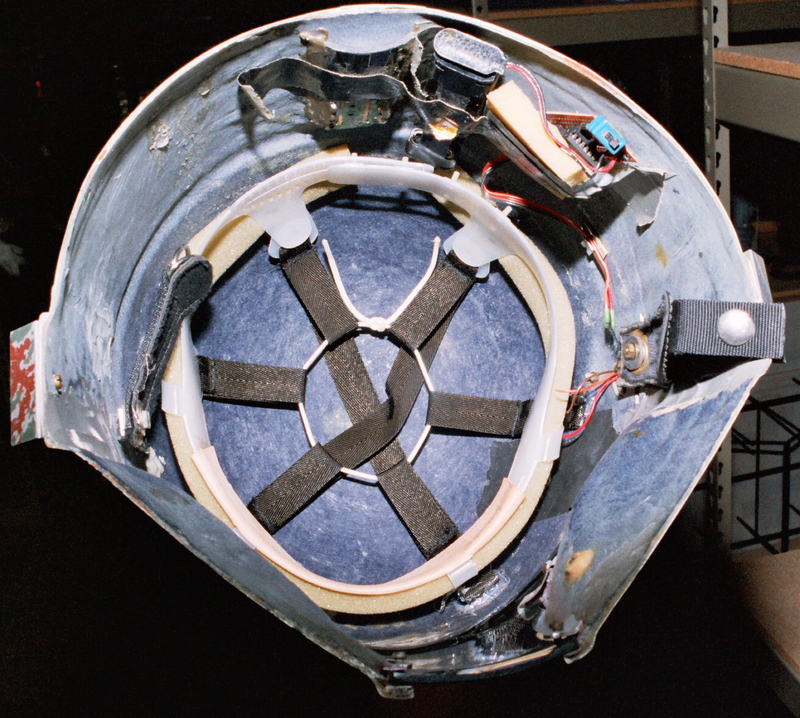 A few others have had a stab at a decent replication the interior over the years but no one has really nailed it and there’s one good reason; no one has managed to identify the interior strapping system used inside the helmet. Not until now that is. 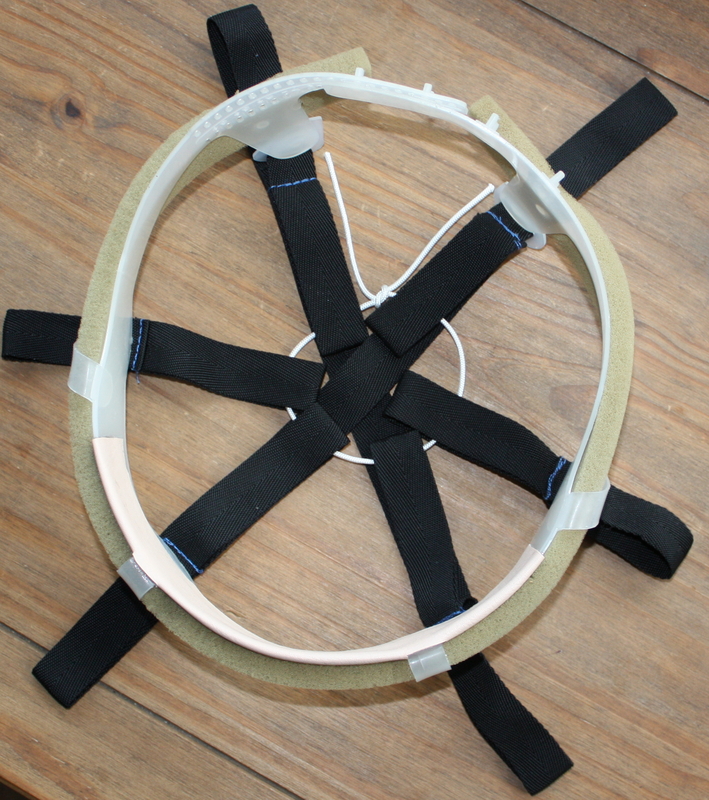 Virtually every other found part on the Boba costume has been locked down (I’ll post a list up later) but not the helmet strapping. I’ll guess that’s because most people aren’t that bothered about replicating something that won’t be seen but I was bothered and strange enough to spend the months and money researching this. 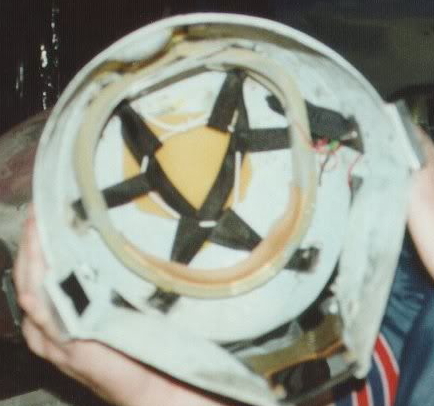 This is the inside of the ESB Boba Fett Helmet. This single image is the best picture of the interior that’s out there. It looks pretty rubbish doesn’t it. 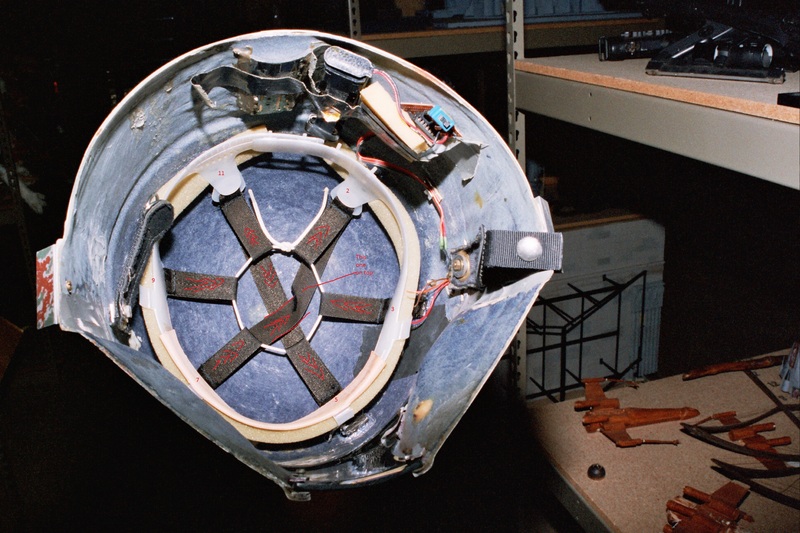 This same strapping systems is also present inside the Boba Fett Helmet used in the Return of the Jedi (it’s a different helmet). The Anatomy of a Found Part. The first step in working out what a found part might be unless it’s an obvious fact in and of itself is what the nature of the thing is. 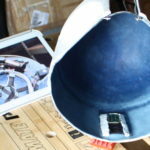 In this case it’s pretty obvious that this is prop uses some kind of hat fixture simply borrowed from the real world. I knew people had played around at looking at this before but hadn’t even come close. Clearly this was some kind of helmet liner but what kind of helmet? Well, I was a keen climber, mountaineer, and Caver in my younger days and this looked suspiciously like my what was in one of my old Caving helmets, so on a visit to my parents I dragged myself into the loft and dug it out; the simularities were striking. Then it was simply a case of researching what was available back in the late ’70s and early ’80s when these films were made. I already had a fair idea of what was out there back then as I’d once worked in a outdoor shop and we sold a lot of specialist equipment, including climbing helmets. Even with that knowledge in hand the search still took months and resulted in a lot of old climbing helmets being bought to get the match. Here are the results. I’ve listed this one first as I suspect it is the oldest of those I have to show (although not necessarily the first brand or model to be produced). 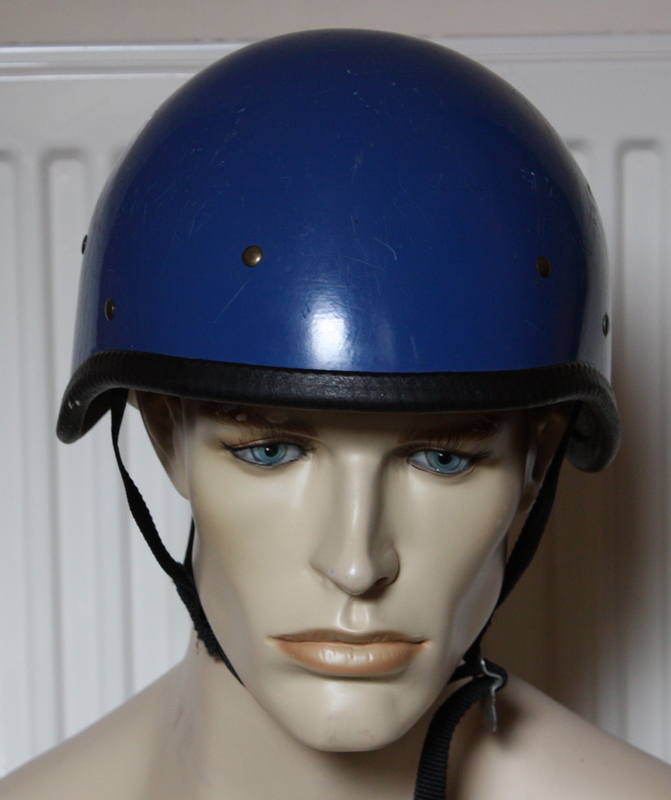 In general I apply the logic that the more it looks like a motorcycle helmet the older the design. 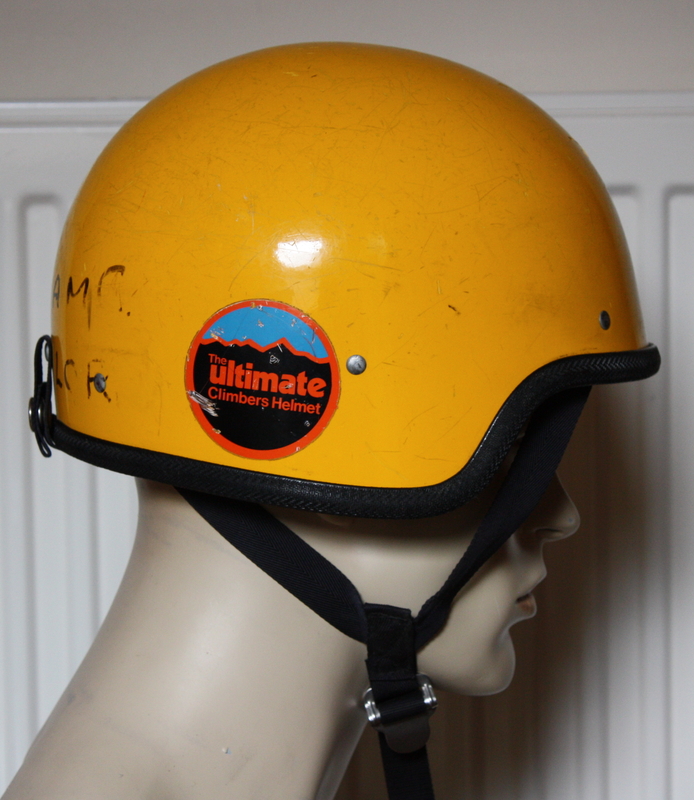 American Bill Wilkins, who had worked for Berghaus, the then top outdoor equipment manufacturer in the UK, decided to set up his own business and in 1972 Ultimate Equipment was born. 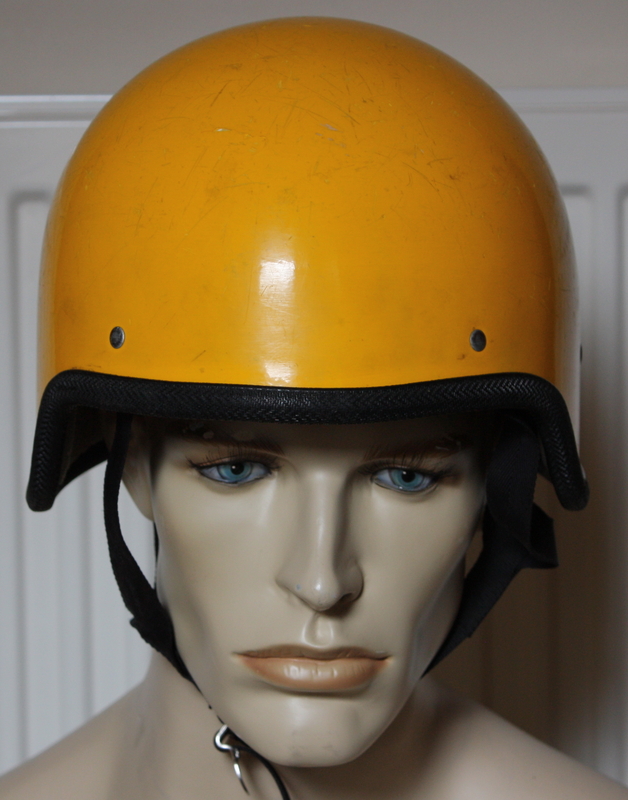 He made tents mainly but other items, including this helmet which dates from the mid to late 1970’s, were produced. Joe Brown is a rock climbing legend and the Joe Brown Helmets were the benchmark for a looooooong time before eventually being displaced by far lighter designs such as the Petzl Ecrin Rock or Camp High (and Rock) Star models; clinging to the side of a mountain in a winter ascent and all those saved grams really start to tell; even those designs are now classics and consigned to history. 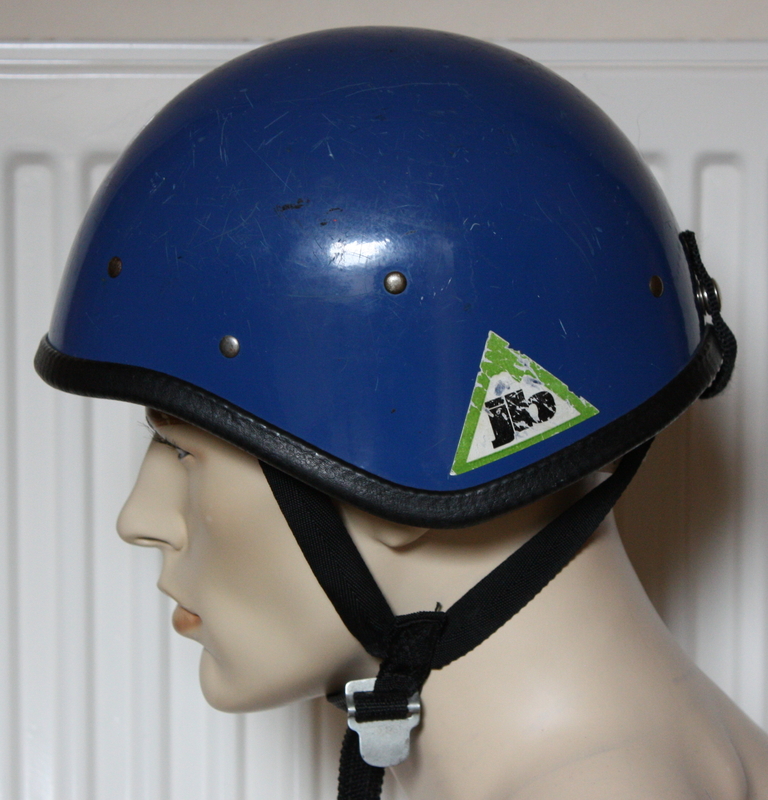 The Joe Brown helmets were still being produced well into the 90s and we still sold them in the Outdoors shop I worked in then although by that time they had largely been consigned to group purchases for use at outdoor centres due to the hard wearing construction . They may have been considered too heavy for alpinism by then but they were bomb proof and practically lasted forever. In the late 60’s/early 70s Joe Brown teamed up with another infamous mountain man called Mo Anthoine to produce this iconic helmet. Mo owned a company called Snowdon Mouldings and Joe was his business partner for a while. The last time I went climbing in North Wales the Joe Brown shop was still there although I doubt this helmet is still made. 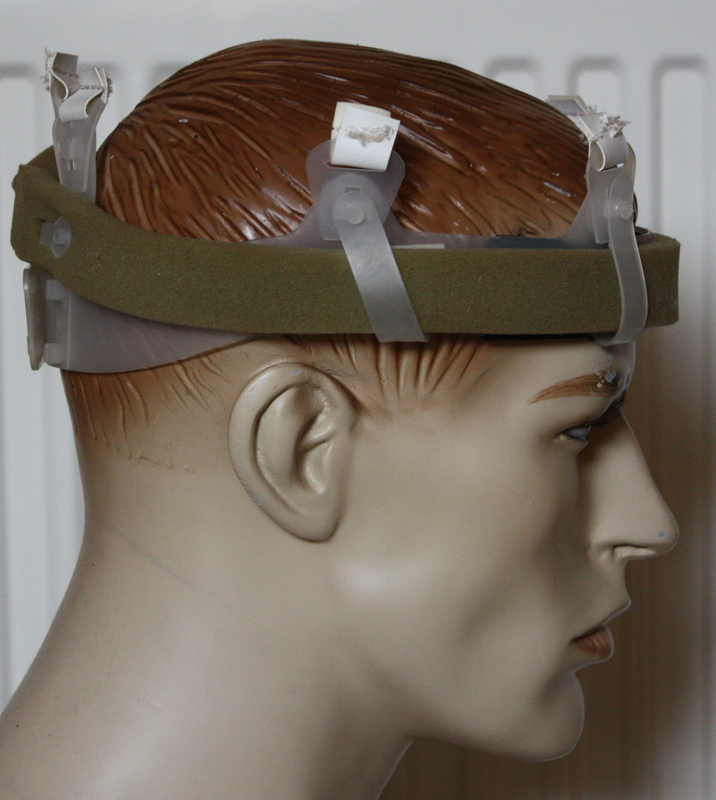 The earliest models looked pretty much like the ‘Ultimate climbers helmet’, as I recall, so this is probably a later one. 3). 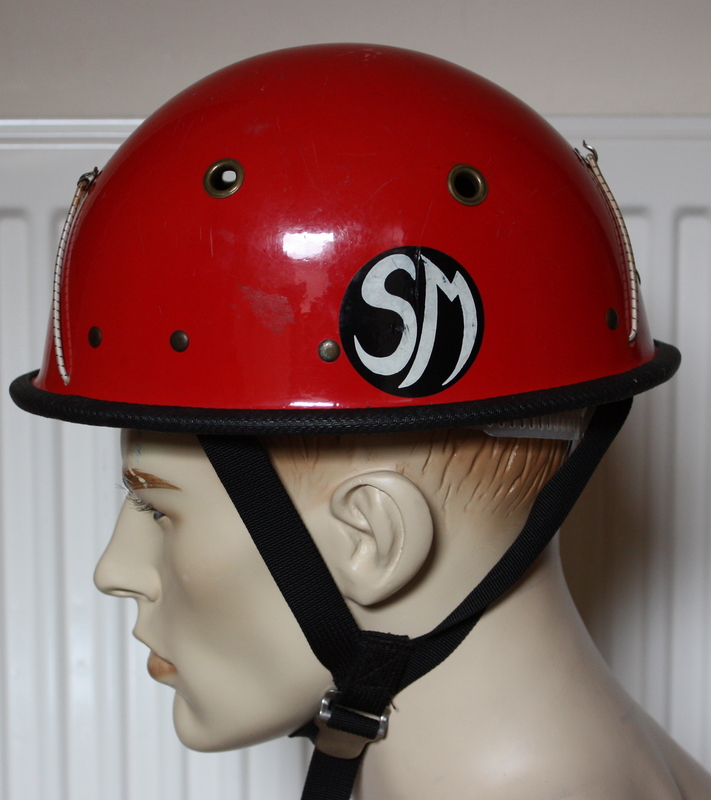 The Snowdon Mouldings Helmet. I never actually realised SM made their helmets until researching this. SM were more famous for the ‘Curver’ Ice axe that was the top choice among lots of Alpinists and Ice climbers until the more current reverse pick designs happened along. 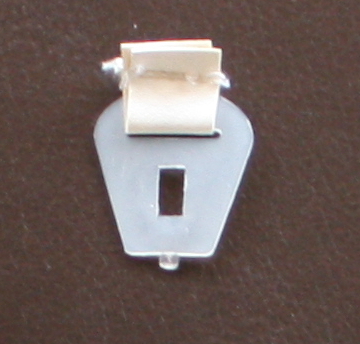 We were still selling a variant of the Curver on the 90s. Snowdon Mouldings is the same company mentioned above in the Joe Brown section above of and is of Mo Antoine origin; Antoine was himself an influential climber. I suspect this design is the latest of the three due to some of the design features (it’s Kevlar fibreglass for one thing). 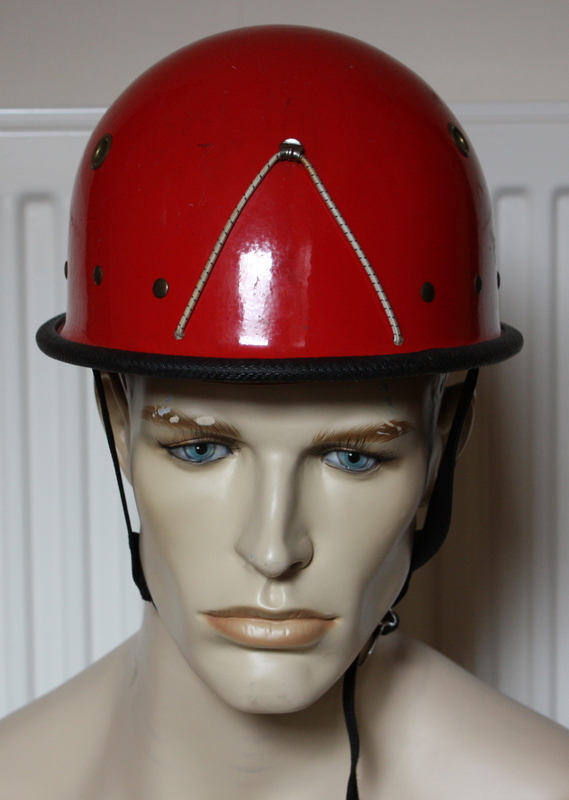 There is probably another more ancient brand out there called the Compton Helmet but I never managed to track one down. None of the helmets I purchased had a matching set of strapping to the ESB Boba Helmet so that was an issue that needed to be addressed but it did make it easier to remove the item because the strapping did not need to be preserved and the item could simply be cut out. 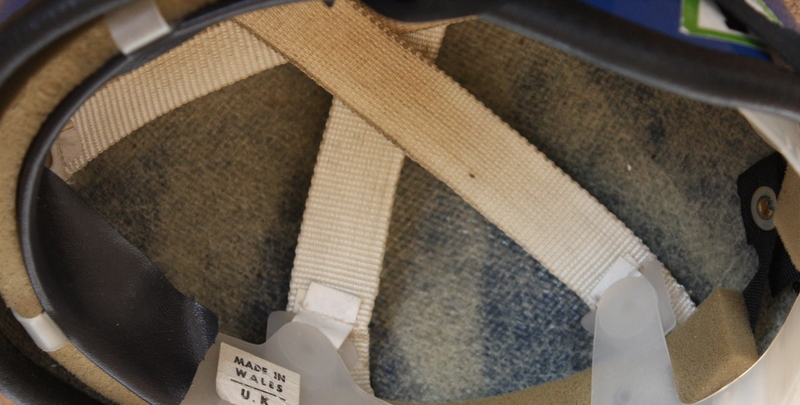 The strapping material used in the ESB helmet appeared to be the same as some of the strapping on the old climbing helmets. As the sample did not float I deduced it to be nylon and then found a match with the correct Herringbone pattern. On top is a sample from one of the old helmets and on the bottom was some of the new 19mm tape I purchased. 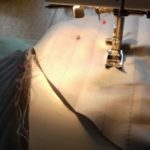 I can’t sew for toffee so I needed help with the next bit; enter Mum. I gave my Mum a picture of the ESB interior with the Herringbone pattern marked out crudely (so all the pattern face the correct way), asked her to find a good match for the blue thread and if this could be her Birthday present to me. The finishing touches were to find a match for the leather band and the cord in the centre. The cord was easy enough to sort out but the leather band was tough. I’d almost given up but spotted a cheap lady’s handbag that was a good colour match when passing a shop windown. I bought it and carved it up for a strip that was then stuck down with epoxy resin. 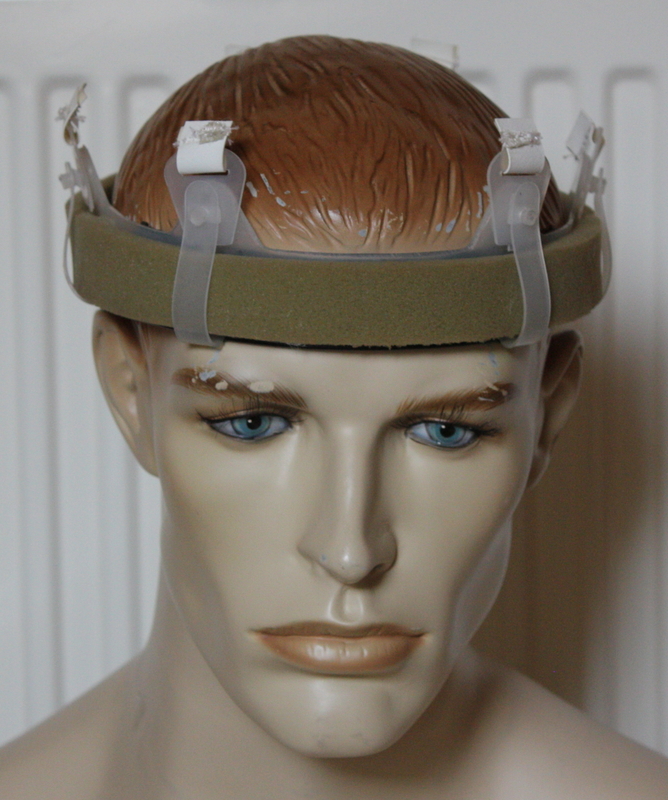 The entire process from the start of the research to the completion of the item took slightly under a year. 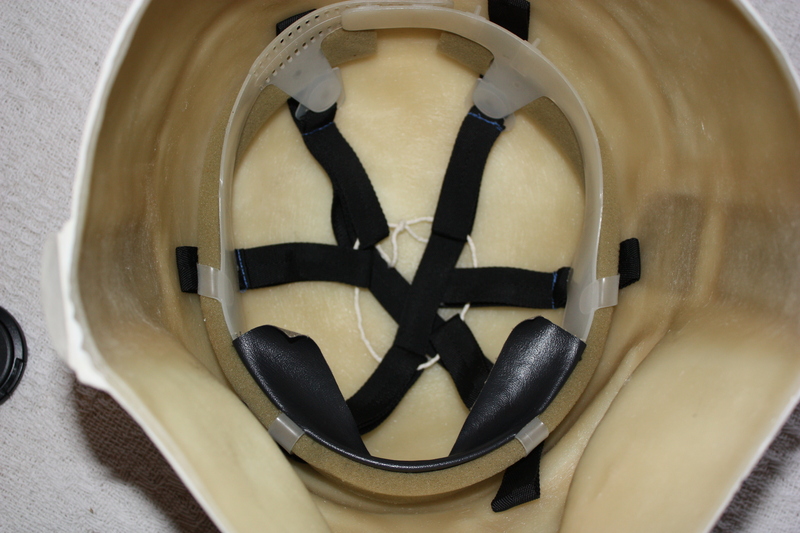 Here’s the completed piece that will be used in the finished helmet.